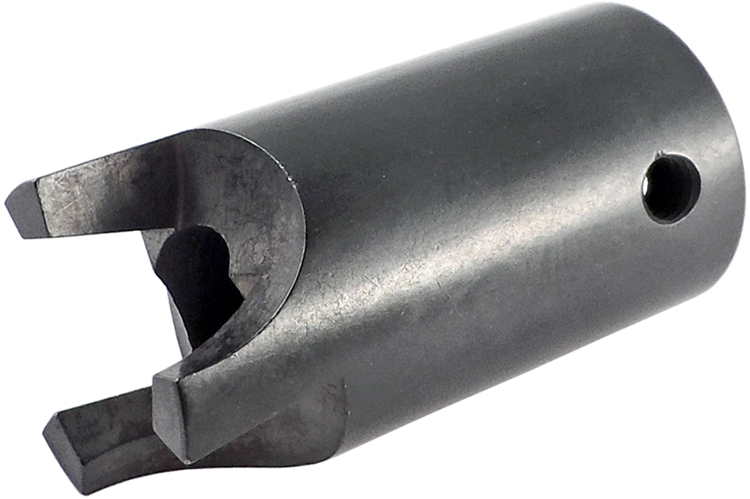 This 3/8'' square drive, 3-blade Hi-Lok® collar remover is best suited for aluminum collars. The OMAR Series socket is a sure way to remove Hi-Lok® or similar aluminum collars. Its jaws ensure grip even on soft, damaged, or rounded collars. They are fully adaptable to any power hand tool with a reverse function and a 3/8'' drive. A hex key set screw is included as an anti-FOD measure. The CRP100 Hi-Lok Collar Removal Pliers feature a diamond shaped jaw which allows the pliers to grip from any direction and may be used to remove collars in open access applications.